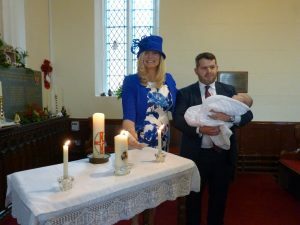 We were thrilled to welcome Eduardo, Sophie and Florencia to our church for a very special service. 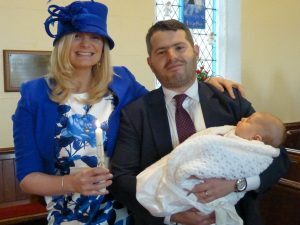 Eduardo and Sophie were married last year in Chile and they have been blessed with the birth of their daughter Florencia at the end of October this year. 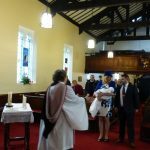 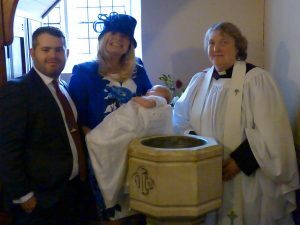 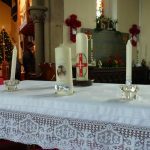 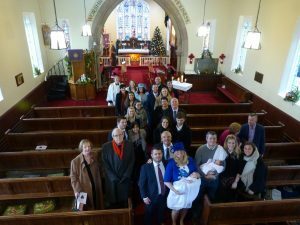 As some of Sophie’s relatives had missed the wedding they wanted to celebrate their marriage with a blessing and have Florencia baptised while visiting family and friends over Christmas. 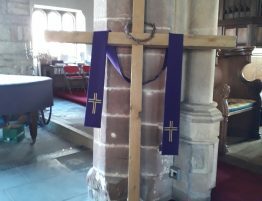 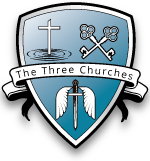 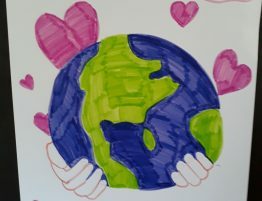 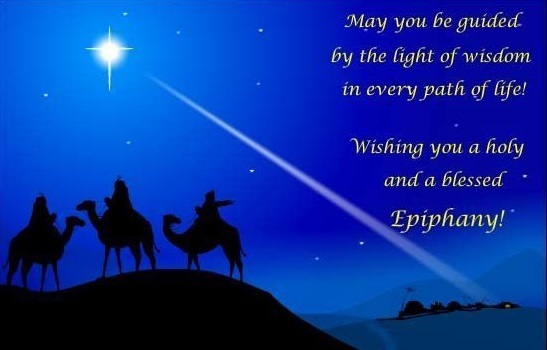 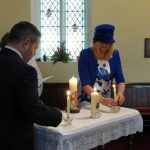 Having family in the village and having attended our church services on previous visits we were thrilled to have the opportunity to support them and to reflect the meaning of a World Wide Church, one family united in faith. 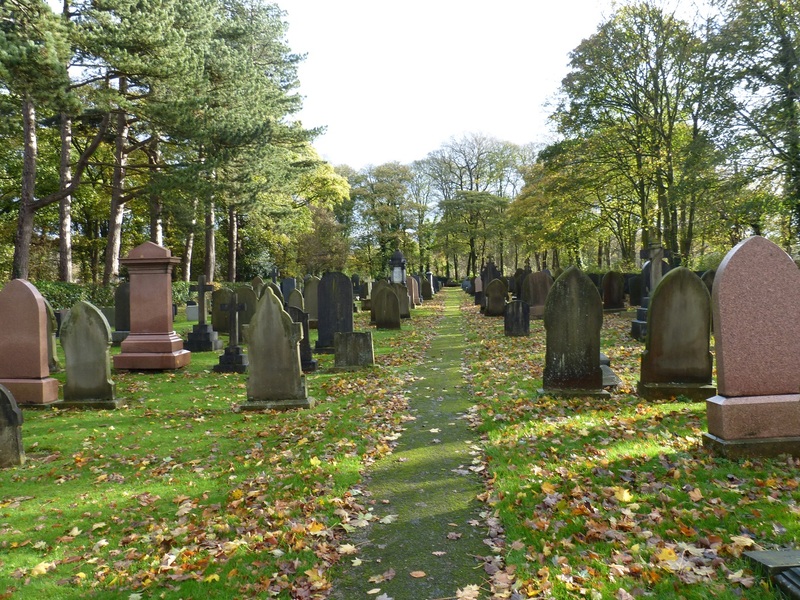 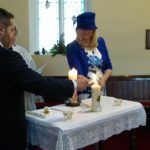 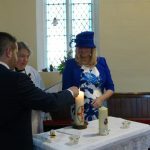 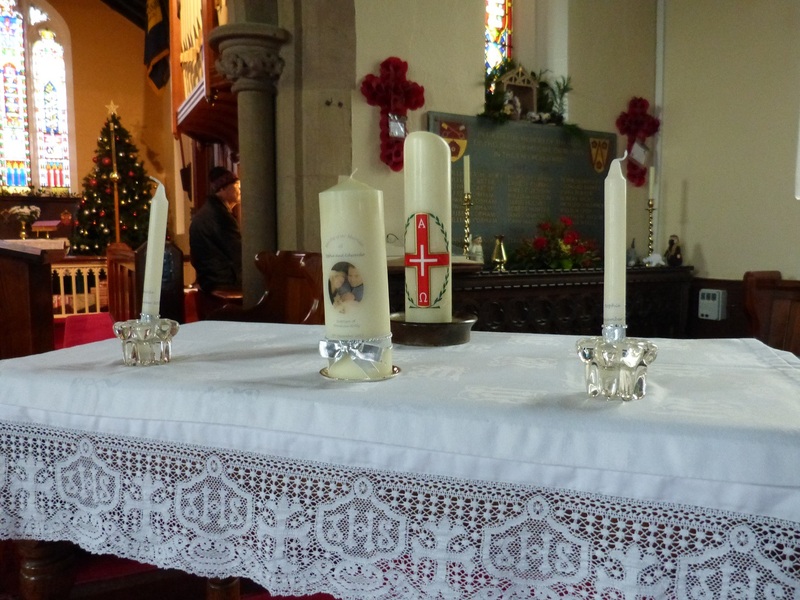 Reverend Janet welcomed Eduardo, Sophie, Florencia, their family and friends into church before inviting Eduardo and Sophie to light individual candles with their names on from the Easter Candle then together light the family candle in the middle of the alter. 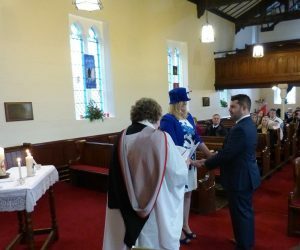 During the Blessing of their marriage Eduardo and Sophie reaffirmed the vows they had made at their wedding.